There’s a range of Vinnies programs powered by youth volunteers across NSW. These programs offer support to young people as well as adults who are disadvantaged or isolated in our communities. These programs require volunteers to plan, organise and run activities throughout the year. The success of these programs rely on the energy and dedication of young volunteers whilst allowing young adults to build strong interpersonal and organisational skills and give back to their community. We are always looking for new volunteers to join our passionate teams, so get in touch with your local Vinnies team in your area for more info. Please note that the minimum age for volunteering differs, either 16+ or 18+, depending on the program and location. If you’re hoping to start a new initiative or program, be sure to get the necessary safe guards in place before commencing to ensure the safety of your team and the people you plan to assist. Get in touch with the Child Safe team for more information. They are one day activities in which children aged 5-12 years participate in recreational or educational activities (such as sports days, craft days, movies, ice skating or swimming). Buddies Days aim to give children experiencing hardship a cost-free, safe and enjoyable day out. Be a positive role model and volunteer for a day of fun to offer disengaged and disadvantaged kids a break from any hardships they may be experiencing. Children aged 5-12 years of age (and in primary school) from families experiencing hardship or disadvantage for a variety of reasons are welcome to attend our Buddies Days. The program is designed to offer children a break from any hardships they may be experiencing. It also involves a range of activities that encourage children to develop new skills, enhance their self-confidence and encourage friendship development with other children. In some areas we also run Buddies Days for teenagers aged between 12-15 years of age and in high school. All activities are organised at no cost to the families or volunteers. To become a Buddies Day volunteer you must be 16 years of age and over and available to attend our Youth Program Training prior to commencement (please note that in some areas you need to be 18 years of age and over – see below for details). Our trained and supported volunteers provide positive role models to the children and participate in activities alongside them to ensure that their day is both safe and lots of fun. As this is a program is for children and young people, all Vinnies volunteers aged 18 years and older are required to complete a Working with Children Check and National Police Check. Check the contact us section to see what regional office is your nearest and how to get in touch. For information on how you can volunteer please contact the Vinnies team in your local area. Vinnies Teen Days provide young people aged 12-15 years the chance to have a short break and develop friendships whether new or formed as participants on our kids programs. Who can access Teen Days? Teenagers aged between 12-15 years of age (and in high school) from families experiencing hardship or disadvantage for a variety of reasons are welcome to attend our Teen Days. Who benefits from Teen Days? The program is designed to offer Teens a break from any hardships they may be experiencing. It also involves a range of activities that encourage teenagers to develop new skills, enhance their self-confidence and encourages friendship development with other teenagers. All activities are organised at no cost to the families or volunteers and programs are tailored to the interests of the teenagers. Can I volunteer on Teen Days? To become a Teen Days volunteer you must be 18 years of age and over and available to attend our Youth Program Training prior to commencement. Our trained and supported volunteers provide a positive role model and participate in activities alongside the teenagers to ensure that their day is both safe and lots of fun. As this is a program is for children and young people, all Vinnies volunteers aged 18 years and older are required to complete a Working With Children Check and National Police Check. Young adult volunteers (aged 18-35) lead an exciting program of activities such as sports, initiative-based games, leadership skills and opportunities for empowerment and confidence building. Where do Teen Days run? How can I find out more about Teen Days? For information on how you can become a Vinnies Young Adult volunteer please contact your local Vinnies team. Kids Camps are 2-5 day care and respite programs providing kids with a safe, enjoyable, cost-free holiday camp that they may not normally have the opportunity or access to attend. Kids Camps are either weekend or school holiday programs for primary school children between the ages of 5–12. The camp involves a range of activities including sports, games, swimming, craft, art, life skills and nature walks. Activities are aimed at building the child’s self-esteem, skills, confidence, team work skills and social interaction whilst having fun. Who can access Kids Camps? Children aged 5-12 years of age (and in primary school) from families experiencing hardship or disadvantage for a variety of reasons are welcome to attend our Kids Camps. Camps take place throughout the year during school holidays. Can I volunteer on Kids Camps? To become a Kids Camp volunteer you must be 16 years of age and over and available to attend our Youth Program Training prior to commencement. Our trained and supported volunteers provide a positive role model and participate in activities alongside the children to ensure that their day is both safe and lots of fun. As this is a program is for children and young people, all Vinnies volunteers aged 18 years and older are required to complete a Working With Children Check and National Police Check. We offer a range of youth program and services across the state see our Get Involved page for more volunteering opportunities. Where do Kids Camps run? There are no Kids Camps currently running in NSW. How can I find out more about Kids Camps? For information on how you can become a volunteer please contact your local Vinnies team. 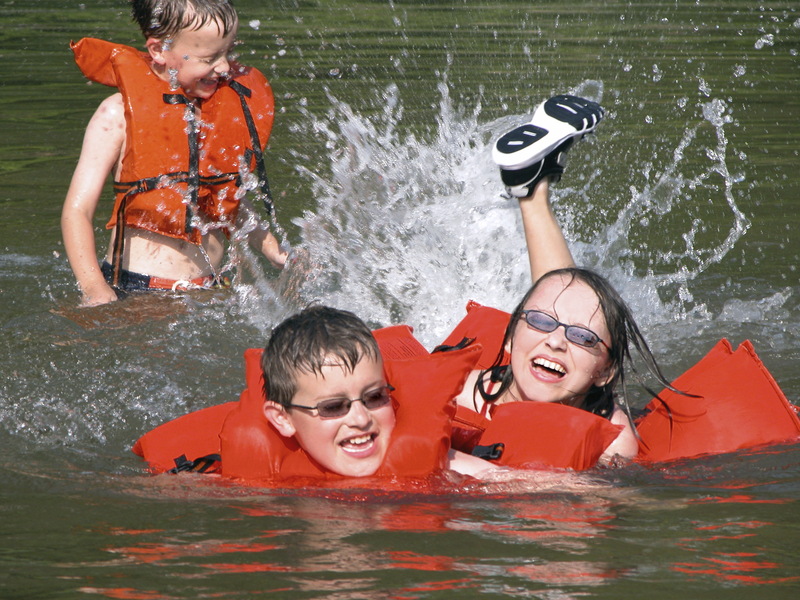 Teen Camps are care and respite programs providing teens with a safe, enjoyable, cost-free holiday camp that they may not normally have the opportunity or access to attend. Teen Camps are either weekend or school holiday programs to provide young people aged 12-15 years the chance to have a short break and develop friendships whether new or formed as participants on our kids programs. Our trained and supported volunteers provide a positive role model and participate in activities alongside the teenagers to ensure that their day is both safe and lots of fun. The program is designed to offer teenagers a break from any hardships they may be experiencing. It also involves a range of activities that encourages the teenagers to develop new skills, enhance their self-confidence and encourages friendship development with other teenagers. In some areas we also run Buddies Days for teenagers aged between 12-15 years of age and in high school. All activities are organised at no cost to the families or volunteers. Who can access Teen Camps? Teenagers aged between 12-15 years of age (and in high school) from families experiencing hardship or disadvantage for a variety of reasons are welcome to attend our Teen Camps. Can I volunteer on Teen Camps? To become a Teen Camp volunteer you must be 18 years of age and over and available to attend our Youth Program Training prior to commencement. Our trained and supported volunteers provide a positive role model and participate in activities alongside the participants to ensure that their day is both safe and lots of fun. As this is a program is for children and young people, all Vinnies volunteers aged 18 years and older are required to complete a Working With Children Check and National Police Check. Where do Teen Camps run? There are no Teen Camps currently running in NSW. How can I find out more about Teen Camps? Green Team are run by young adults to support those in need within our community by helping with gardening work for those who are unable. Youth volunteers assist with gardening work and yard maintenance which may include pruning, weeding and planting. This also gives young volunteers an opportunity to sit with those being assisted to share stories and offer companionship to individuals who are feeling lonely, isolated or marginalised within their homes and communities. Who can access Green Teams? People in the general community who experience difficulty in maintaining their garden including those who are elderly or have a disability, and those supported by Society services or local Conferences. Can I volunteer on a Green Team? To become a Green Team volunteer you must be 16 years of age and over and available to attend our Youth Program Training prior to commencement (please note that in some areas you need to be 18 years of age and over). Our volunteers receive extensive training and support. When and where do Green Teams run? How can I find out more about Green Teams? The Homework Help Program aims to assist students who are experiencing disadvantage. Young Adult volunteers work with children who are currently accommodated in Vinnies refuges one afternoon a week during the school term to help them complete homework and assessment tasks. Whilst assisting the child with their homework and study, it is intended that the program foster interpersonal skills, improve self-esteem, and further develop social and communication skills. The Homework Help program offers homework and tutoring support for children who are experiencing disadvantage. Train youth volunteers offer their time for regular tutoring programs. Our program provides a range of activities designed to promote the educational, social and emotional development of children. Children aged from 5 to 15 years of age from families supported by the Society are welcome to attend Homework Help. When and where does Homework Help run? The program is run in Vinnies offices, schools, Society Support Services such as crisis accommodation centres, or local libraries. *Contact Hastings Accommodation Solutions for this Homework Help Club in Port Macquarie on HAS@vinnies.org.au. Night Patrol Vans – two vans, operating seven nights per week, providing meals, blankets, toiletries, snacks, hot beverages, and most importantly, companionship to people experiencing, or at risk of, homelessness. Brekky Van – a service that provide a cooked breakfast, cereal and hot drinks, each Saturday and Sunday morning to people experiencing or at risk of homelessness. More information on the different Vinnies Vans operating in NSW and contact details can be found here. Here’s a clip from the Melbourne soup van to get you inspired! SPARK is a Vinnies program that regularly partners with High Schools to provide volunteer opportunities for groups of students. School students over the age of 14 have the opportunity to volunteer in selected primary schools to act as tutors and mentors to children of refugee backgrounds. Full training and ongoing support is provided, as well as formal recognition of the students’ participation. Check the SPARK website for more information.